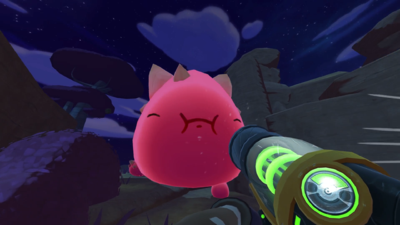 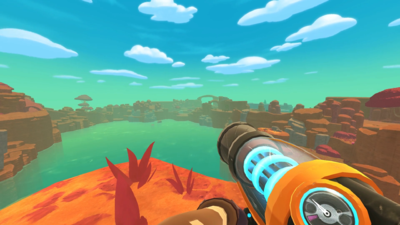 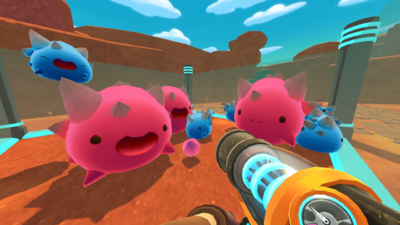 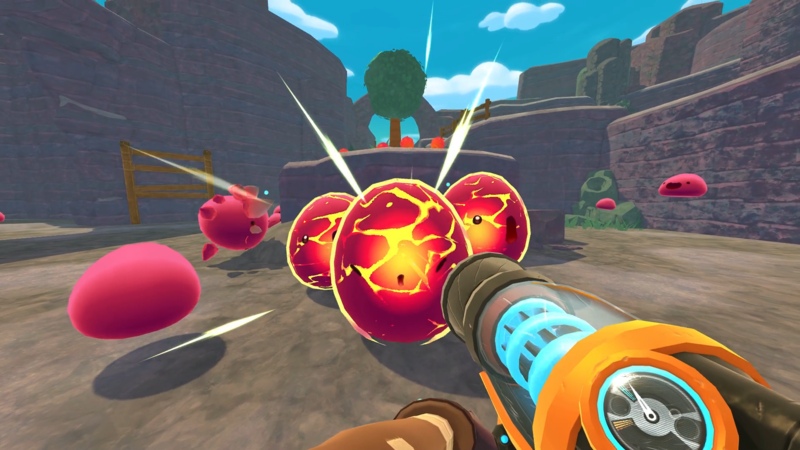 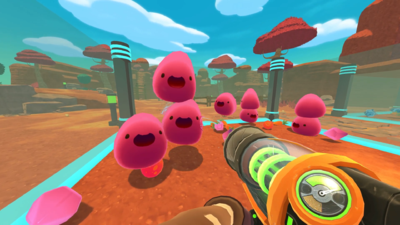 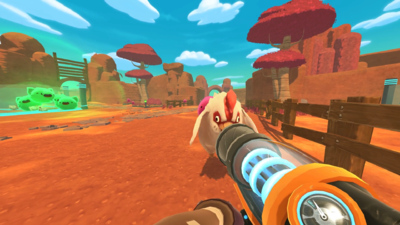 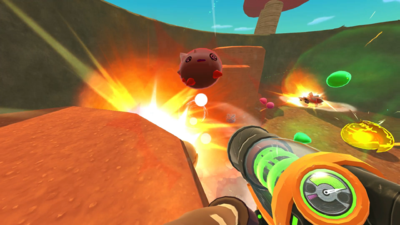 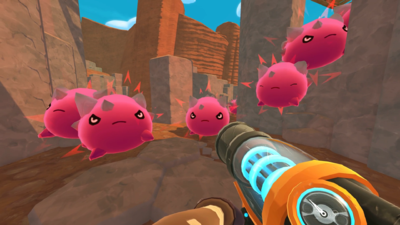 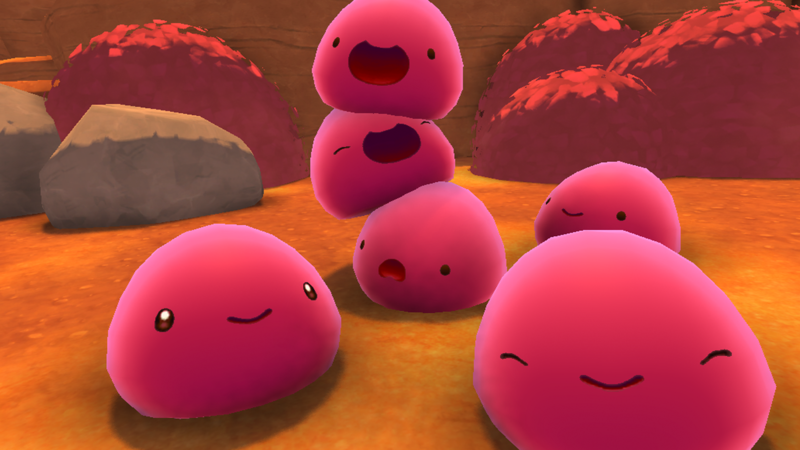 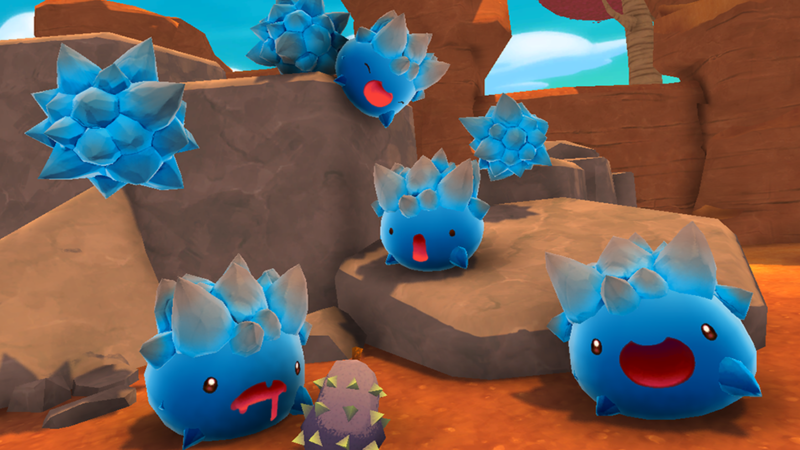 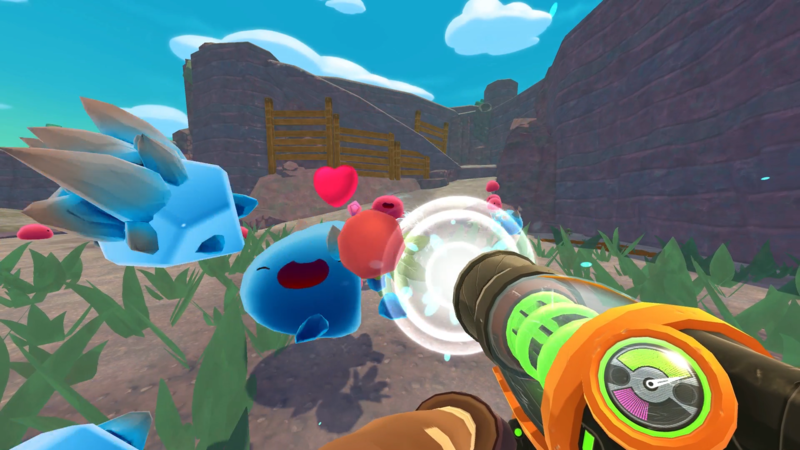 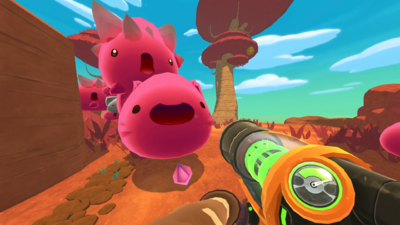 Slime Rancher is a first-person, sandbox game from Monomi Park. It is the tale of Beatrix LeBeau, a plucky, young rancher who sets out for a life a thousand light years away from Earth on the 'Far, Far Range' where she tries her hand at making a living wrangling slimes. 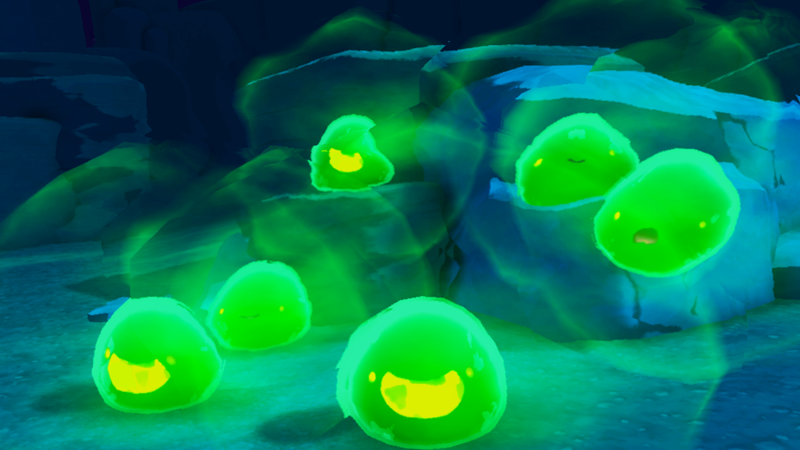 With a can-do attitude, plenty of grit, and her trusty vacpack, Beatrix attempts to stake a claim, amass a fortune, and avoid the continual peril that looms from the rolling, jiggling avalanche of slimes around every corner. Slime Rancher is available in Early Access on Windows, Mac, and Linux. We are currently maintaining 745 pages (237 articles)! 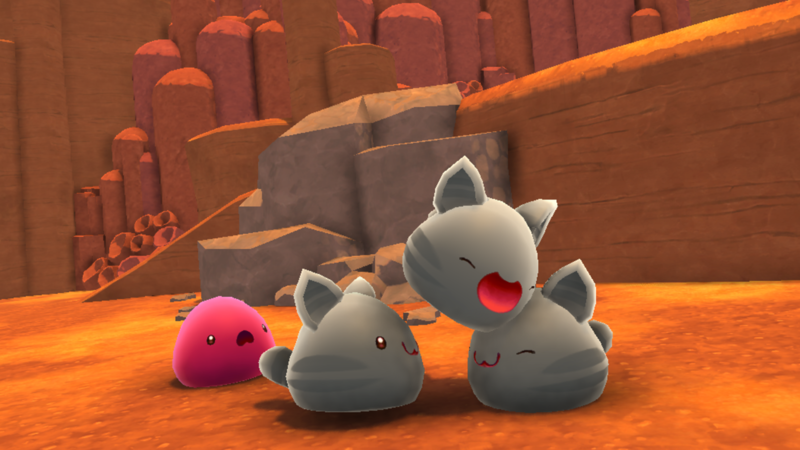 See how you can help contribute to the Slime Rancher Wiki! Remember to maintain a standard for grammar and punctuation in your contributions, please.